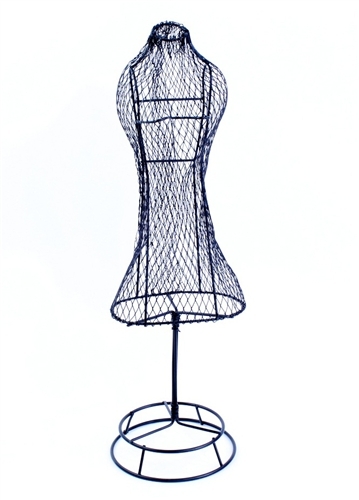 This wired dress form measure a total height of 17". 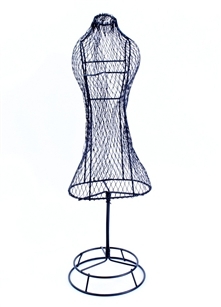 The base is 5" in diameter and the height of just the dress in 11". Product was exactly as described! The shipment arrived in 2 days. I would highly recommend this company! This dress wire is unique and is perfect for the wedding that I decorated. I added a wedding dress to the form! It was perfect! Came in great shape and quite nice. Above expectations. Once I got it, I realized I could have used a taller one just like it (for centerpieces). But only comes in 17". I'll probably order 20 more.